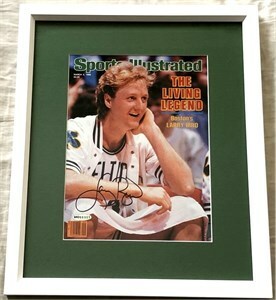 1986 Sports Illustrated cover reproduction autographed beautifully in black marker by legendary Boston Celtics Hall of Famer Larry Bird, professionally double matted and framed with plexiglas in black wood, ready to hang. 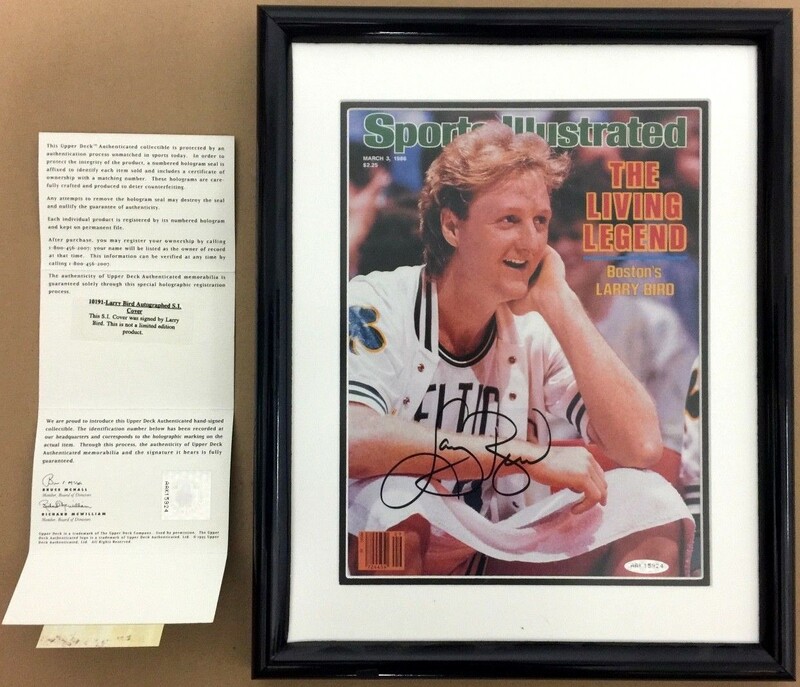 Authenticated by UDA with their patented five step process including matching numbered holograms on the cover and certificate of authenticity. ONLY ONE AVAILABLE FOR SALE.